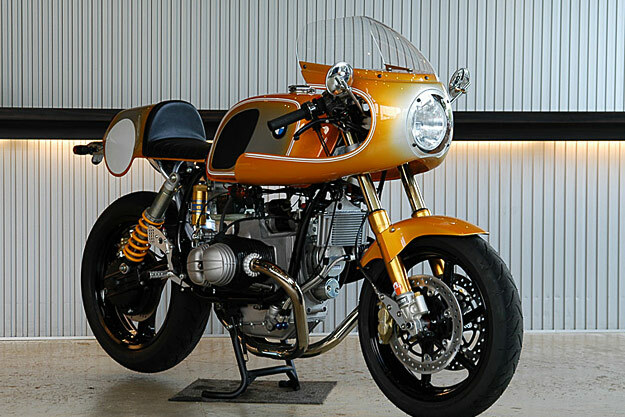 Three years ago, Ritmo Sereno of Tokyo produced a stunning orange BMW R80 track bike—the highly successful ‘Nakajima’ racer. Now a Ritmo customer has commissioned a road-going version—and this is it. 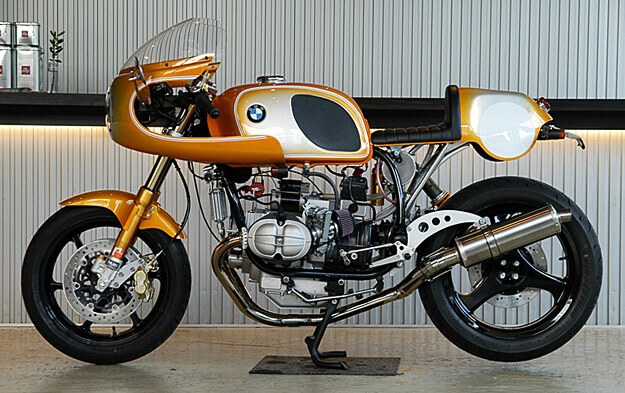 It’s based on a 1991 R100 RS, but many of the other details are close to the track machine. 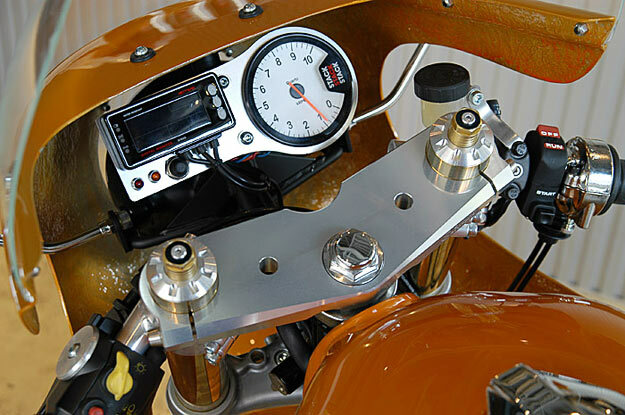 The suspension is Öhlins front and back, the brake system is from Brembo and carburetion is Keihin FCR. Ritmo has paid a lot of attention to weight, so the 230kg-or-so of the stock machine has been reduced to a gossamer 175kg. 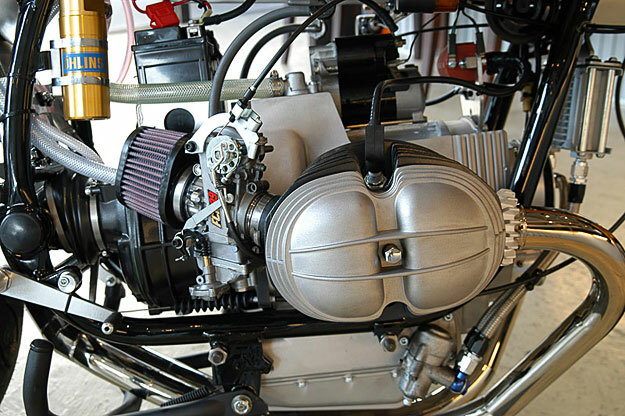 (The battery holder, oil catch tank and the frame from the engine backwards are handmade in lightweight aluminium alloy.) Power is now around 80bhp at the back wheel, helped by a custom-made 2-into-1 exhaust system routed through a modified center stand. Ritmo has documented the entire build on its website—the link is here (via Google Translate). The level of craftsmanship is extraordinary, but if the authentic orange paint job is a little too garish for you, check out the original and (equally illustrious) Nakajima racer, a lovely blue R90/6. 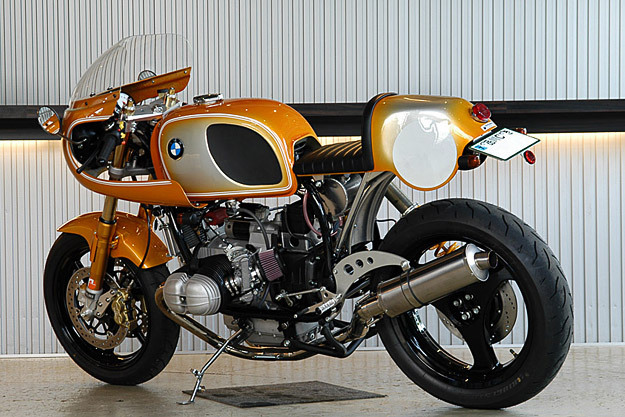 Is there a better custom BMW builder in the world today?